Many families view their pets as part of the family. Pets carry a lot of fun, joy and positive energy. 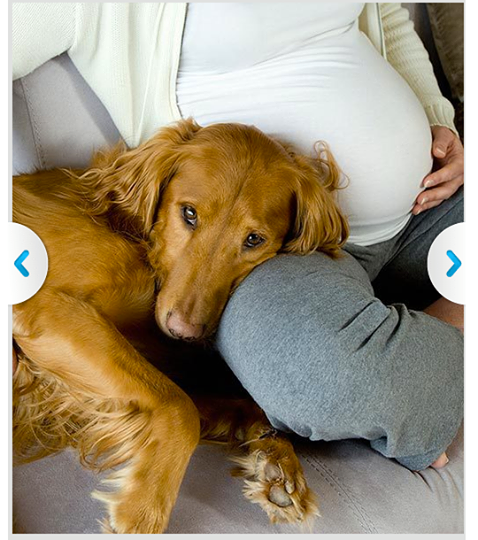 In pregnancy should be careful about what pets keep and care for them. • If your dog tends to fret or ever Skopje, train it during pregnancy to not do it on your baby • Make sure that the dog has received all vaccines. Immunize before breeds • If you are attached to your dog, ask your partner to spend more time with him and to take responsibility. When you give birth your baby will not have enough time to devote to the dog so it would be good to prepare and bring in a partner. If you are a pregnant woman who holds a kitten to look out of toxoplasma. This infection occurs by parasites (Toxoplasma gondii) and is transmitted by cats. Cats transmit the parasite through feces and can become infected if you clean the box of sand or cat litter. Try to do the following: • Ask another family member every day to clean the box with sand and litter • Keep your cat inside the house • Avoid contact with stray cats • Please wash your hands with soap and water after stroking a cat • Do fed cat raw meat. With toksoplazma can get infected through undercooked pork or lamb.